Thought I’d posting something a little different today. Was doing my usual forum surfing when I came across this Miata and of course it caught my eye. 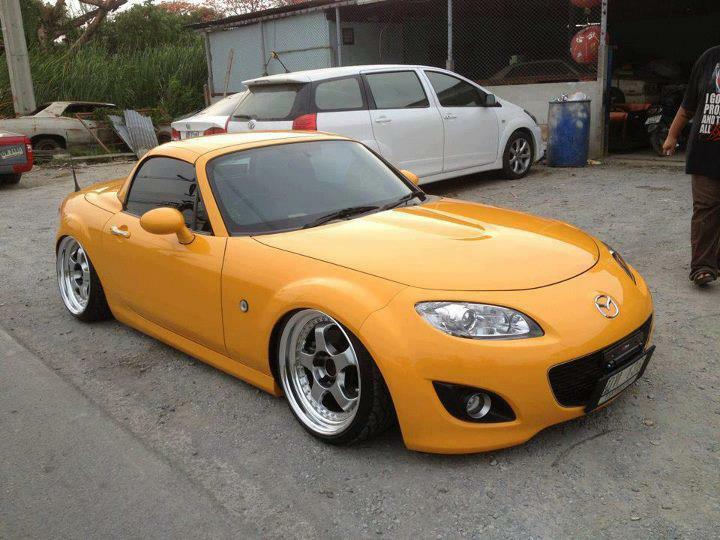 This is seriously the first new style Miata that I am in loveeee with. I see the foreign plates so I can’t say for sure that it’s on air, but it is low as hell and looks absolutely amazing. It’s rocking the new retractable hard top too. Ah man does this car have potential!